Members of the Thundering Herd softball team gather for a team meeting before its game with the University of Kentucky, March 11, 2014, at Dot Hicks Field. The Thundering Herd never trailed at any point during the tournament, and it is out to its best start since starting 7-0 in 2010. 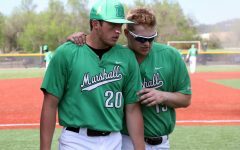 Marshall jumped on Army out of the gate Friday in its season opener en route to a 10-4 win. 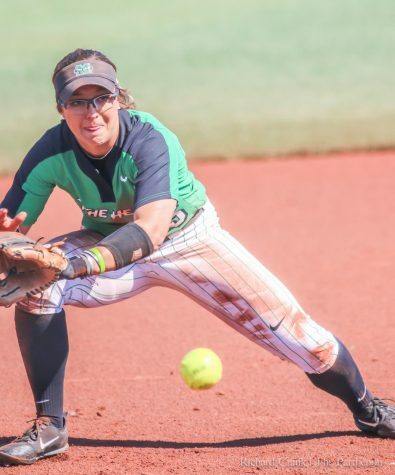 A lead-off walk to Morgan Zerkle provided the Herd its first run of the ballgame after the sophomore stole second and third base and scored on Kaelynn Greene’s bunt single. Elicia D’Orazio singled to right then came around to score putting the Herd up 2-0 after one. The Herd exploded for four runs in the second inning as Katalin Lucas reached on an error then scored on a Rebecca Myslenski RBI single for a 3-0 lead. Kylie Howard put runners at the corners after picking up her first hit and a walk to Kristina Braxton would load the bases. A deep fly to center field by Zerkle allowed pinch-runner Madi Marshall to score for a 4-0 lead. D’Orazio belted a two RBI single to push Braxton and Greene across the plate and a 6-0 lead. Zerkle collected her second RBI of the game in the seventh after driving in Alyssa Woodrum for a 10-4 Herd win. Game two for the Herd saw fewer runs, but a stellar pitching performance by Jordan Dixon in a three-hit outing for a 3-1 win over the host team College of Charleston Friday night. 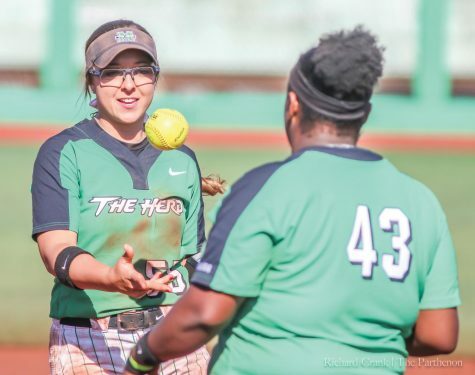 Zerkle paced the Herd with a 2-for-4 outing at the plate and Shaelynn Braxton drove in two of the three Herd runs. Marshall finished with seven hits in the contest. 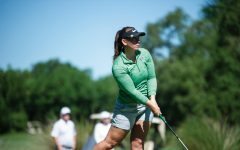 Day two of the Charleston Challenge brought two new opponents for the Herd in Bethune-Cookman University and University of Massachusetts Lowell. 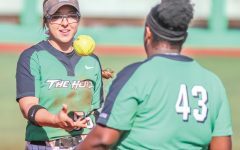 After surrendering two runs in the first two innings to the Herd, Bethune-Cookman’s starting pitcher Sabrina Anquiano held the Marshall offensive attack hitless over the final four innings. Unfortunately for the Wildcats, Dixon held them hitless for 4.1 innings. Dixon added seven more strikeouts to her total while keeping the Wildcat lineup at bay to collect her second win of the season. Dixon surrendered five hits in the complete-game outing but did not allow an earned run in the 2-1 Herd win. 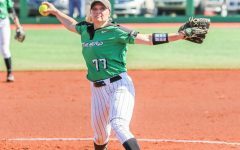 Marshall battled UMASS-Lowell in the second game of the Saturday double-header as Fowler earned her second start of the season for the Herd. After failing to score a run in the first inning for the first time in the tournament, Woodrum connected for a two-out RBI single to score Jordan Colliflower from second and a 1-0 lead as Fowler headed back to the circle. However, the second inning would not be as forgiving to Fowler as the first. 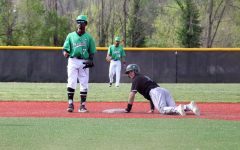 After retiring the leadoff hitter on a ground ball, Fowler walked the bases loaded full of River Hawks forcing Stanton into a pitching change for the Herd. 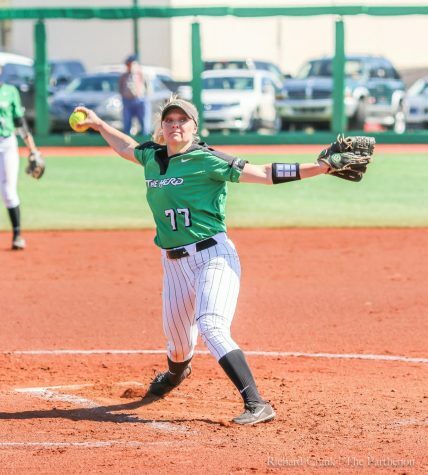 In what turned out to be her best performance of the weekend, Dixon not only got out of the inning without allowing a run, she would retire the next 11 batters in a row—all via strikeouts. With both teams struggling to find any offensive production through the first five innings, it would be the Herd that answered the call. Leading 1-0, D’Orazio and Shaelynn Braxton opened the sixth with back-to-back singles as both would score after RBI groundouts by McCord and Myslenski and a 3-0 lead. Dixon took the lead back to the circle only to allow something the River Hawks had yet to record in the contest, a hit. Brianna Martin ripped a ball into left field for the only River Hawks hit of the game. The University of North Carolina Greensboro was Marshall’s final opponent of the tournament and also Stanton’s alma mater. Marshall took a 1-0 lead after Zerkle led off the inning with a double, then came around to score two batters later. Zerkle, who was voted to the C-USA All-Preseason team, said the difference between day two and three was attitude. 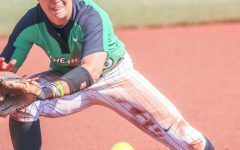 Battling off eight prior pitches in her first at-bat, Lucas blasted the ninth over the left field wall for the Herd’s first long-ball of the season and a 2-0 lead after two. As the game moved to the fifth, Stanton would be greeted with something she wanted to see all weekend, offensive production. 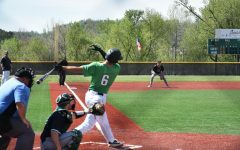 Zerkle opened the frame with an inside the park homerun as the Herd plated four runs in the inning capped off with back-to-back doubles by Raquel Escareno and Lucas with a commanding 6-0 lead. Emily Cooper led the Herd at the plate as the senior co-captain finished 5-for-8 at the plate with four singles and a double. Zerkle finished the weekend 8-for-15 with six singles, a double, a homerun, four RBI, seven runs and eight stolen bases in as many attempts. Dixon worked 28.2 innings in the circle allowing only two earned runs while striking out 42 batters and walking only six. Marshall heads to Greenville, North Carolina Friday for the East Carolina University Pirate Snow Invitational. 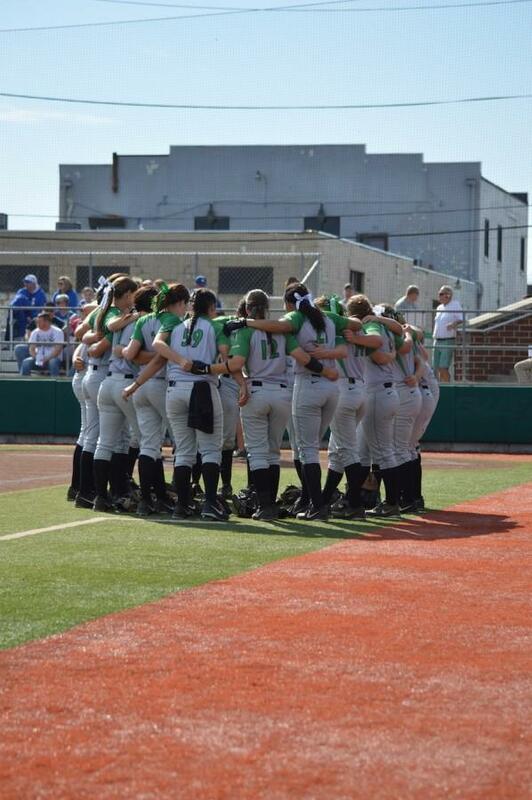 The Herd will play Towson Friday, Feb. 13, East Tennessee State University and host ECU Saturday, Feb. 14. 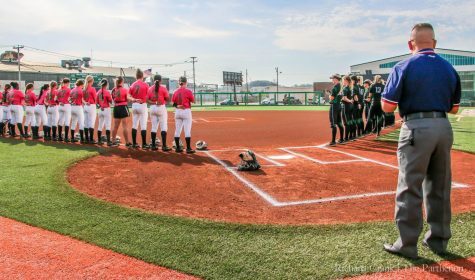 Marshall closes out the four-game event Feb. 15 with Towson.